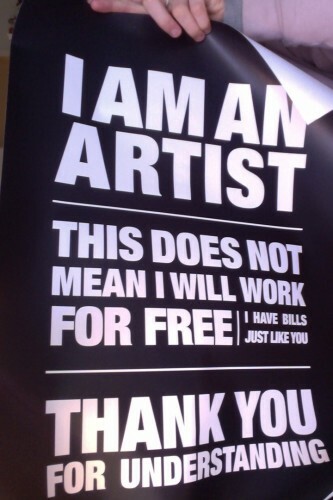 Petition against raise VAT (BTW) on visual arts to 21% in the Netherlands! Within one year, the arts and culture in the Netherlands has been hit by enormous cuts on many sides: one of them was the raise of the low VAT (BTW) rate of 6% on art objects and commission to the rate of 19%. This rate of 6% was also applied on the performing arts, on theatre, dance and music performances ea. But another raise was announced: it will now rise further from 19% to an impossible 21%. However, it seems performance art ea will be made exempt from this new raise and will return to the low rate of 6% again. Ridiculously enough, the now demissionary cabinet has decided NOT to lower the rates for the visual arts, meaning art objects and also art commissions will have to deal with a 21% VAT! We do not except this imbalance between the different disciplines and rates which make it even more impossible for visual artists and galleries to survive these times. PLEASE SIGN THE PETITION HERE!